March 18, 2019 By Editor & filed under Uncategorized. 1. 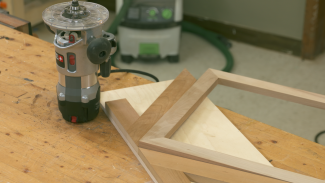 Sweepstakes Entry Period/Sponsor: The WoodWorkers Guild of America Spring Sweepstakes (“Sweepstakes”) begins at 12:00:01 AM Central Time (“CT”) on 03/20/19 and ends at 11:59:59 PM CT on 05/20/19 (the “Sweepstakes Entry Period”). Sponsor: TN Marketing LLC (“Sponsor”), 1903 Wayzata Boulevard East, Wayzata, MN 55391. Sweepstakes is governed by U.S. law. Void where prohibited by law. 2. Eligibility: The Sweepstakes is open to individuals who are: legal residents of the 50 United States or District of Columbia age 21 or older. Employees of Sponsor and the prize providers: Kreg Tool, Woodpecker’s, Inc., Laguna Tools, Armor Tool, and their respective affiliated companies and advertising and promotion agencies and anyone involved with the Sweepstakes (collectively, “Sweepstakes Entities”), and their immediate family members and/or those living in the same household of each are not eligible to enter or win. 3. How to enter: To be eligible for the Sweepstakes, all entries must be received during the Sweepstakes Entry Period. 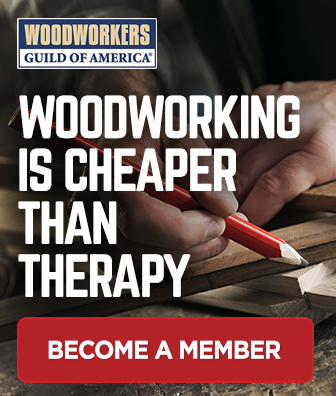 To enter go to the WoodWorkers Guild of America Spring Sweepstakes entry form page (https://go.wwgoa.com/B15882/) fill out the entry form and submit. Only one (1) entry per person/email address during the Sweepstakes Entry Period; entries with duplicate email addresses or multiple entries using different email addresses for a single individual will be disqualified. All entries and requests become the property of Sponsor and will not be acknowledged or returned. Entry materials/data that have been tampered with or altered, or mass entries or entries generated by a script, macro or use of automated devices are void. In the event of a dispute over the identity of an online entrant, entry will be deemed submitted by the authorized account holder of the e-mail address submitted at time of entry. “Authorized account holder” is defined as the natural person who is assigned to an e-mail address by an Internet access provider, on-line service provider, or other organization (e.g., business, educational institution, etc.) that is responsible for assigning e-mail addresses for the domain associated with the submitted e-mail address. Odds of winning depend on the number of eligible entries received during the Sweepstakes Entry Period. Winner is responsible for all local, state and federal taxes and fees, if any. No substitution permitted or cash equivalent, except in the sole discretion of the Sponsor. Prize will be awarded to the individual who submitted an Entry and is non-transferrable. If the prize value awarded is $600 or over an IRS form 1099 will be filed in the name of the winner as required by law. 5. Selection of Winner: The four winners will be determined in a random drawing from all eligible entries received on or about 05/21/19. Sponsor’s decisions are final and binding in all matters relating to this Sweepstakes. 6. Winner Notification: The potential winners will be notified via the email they provided at entry. The potential winners will be required to execute an affidavit of eligibility and release (“Release”) within 7 days of the date on the Release to be eligible to be awarded the prize. If a potential prize winner does not respond to the winner notification email (email will be sent 3 times over a 5 day period), or if said email is returned as undeliverable, or if the potential prize winner does not return the completed and executed Release within 7 days, or if an entrant is otherwise found to be ineligible, does not provide required information, or if the selected winner cannot accept or receive the prize for any reason, the potential prize winner will forfeit the prize and an alternate winner will be selected from among the remaining eligible entries. The Sponsor reserves the right to modify the notification procedures in connection with the selection of an alternate winner. All decisions and results of Sponsor are final and binding. Acceptance of prize constitutes permission (except where prohibited by law) to use each winner’s name, prize won, town where winner is located and likeness for promotional purposes without further compensation. The prize providers may be sending winners the prizes to the address provided by the winners. 8. Winners Name: For the name of the winner (available 30 days after the Sweepstakes ends) send a self-addressed envelope no later than 90 days after the Sweepstakes ends to WoodWorkers Guild of America Spring Sweepstakes c/o TN Marketing LLC., 1903 Wayzata Boulevard East, Wayzata, MN 55391. This Sweepstakes is not sponsored, endorsed or administered by Facebook, Instagram or Twitter, nor is Facebook, Instagram or Twitter associated with the Sweepstakes in any way. 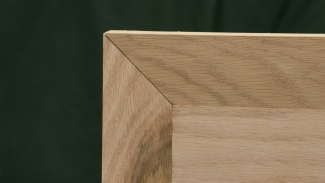 Great source of woodworking information. George is one of the best teachers I’ve ever had(maybe the best). Good information on many topics. 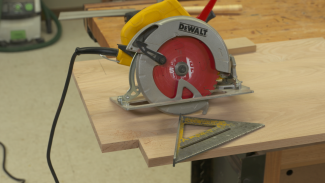 I really enjoy using some of your products.